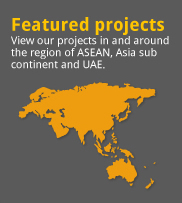 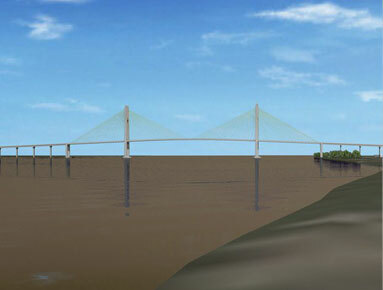 In September 2011, Antara Koh (I) Pte Ltd was awarded by Sumitomo Mitsui Construction Co., Ltd as the bored pile subcontractor for the foundation works of The Main Bridge of The Spien Tsubasa (Neak Loeung Bridge), which spans 2.2km including the 640m of main bridge section, over The Mekong River at Neak Loeung, Cambodia. 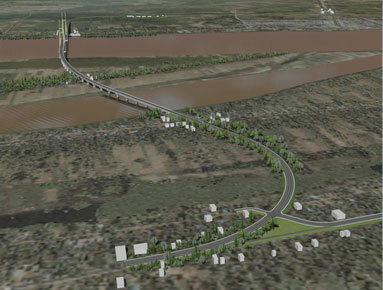 The Spien Tsubasa is an important part of The Southern Economic Corridor of The Greater Mekong Sub-region, linking Ho Chi Minh City, Vietnam, to Bangkok, Thailand, through Phnom Penh, Cambodia. 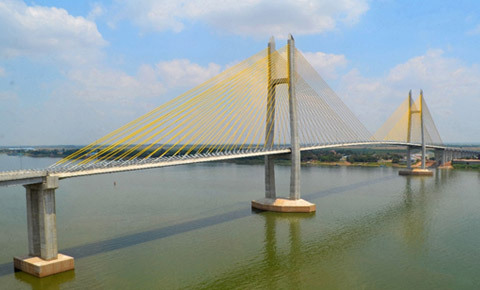 The Main Bridge across The Mekong River is a 3 span continuous stay cable bridge with 2 (130m high) towers and maximum height clearance of 37.5m to allow up to 5,000tons ships to navigate under it. 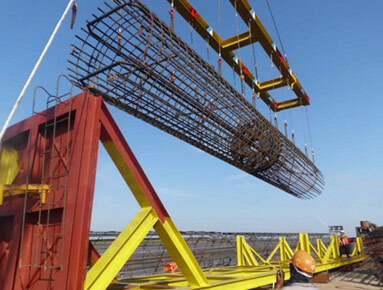 Installation of 50nos of permanent steel casing with 2,700mm inner diameter and length varying between 30m to 37m, weighing between 50ton to 62ton and 4nos of permanent steel casing with 2,200mm inner diameter and length 32m, weighing 44 ton. 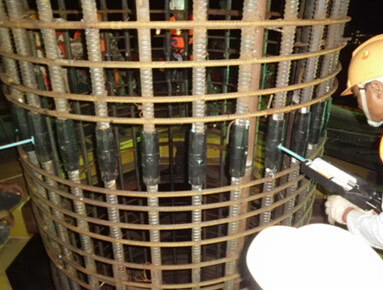 The casings were driven down by Hydraulic Vibro Hammer to required level. 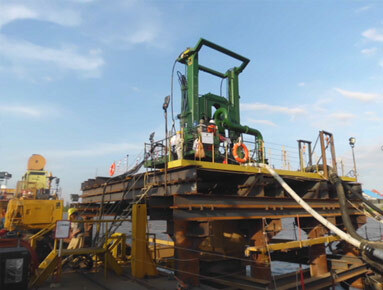 Drilling of 44nos of bored hole diameter 2,500mm with 70m length from COL to toe level, 6nos of bored hole diameter 2,500mm with 62m length from COL to toe level and 4nos of bored hole diameter 2,000mm with 62m length from COL to toe level. 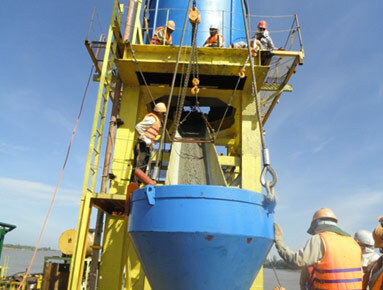 The drilling work were carried out using WIRTH B18 Reverse Circulation Drilling (RCD) system using bentonite slurry through various soil layers such as clay, silt and sand. 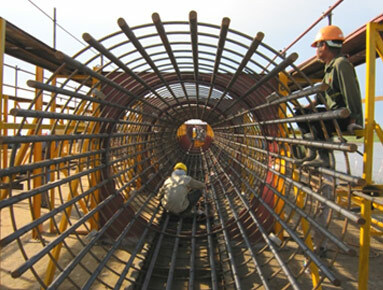 Fabrication and installation of 54nos of reinforcement cages with diameter between 2,000mm to 2,500mm with length between 62m to 70m. 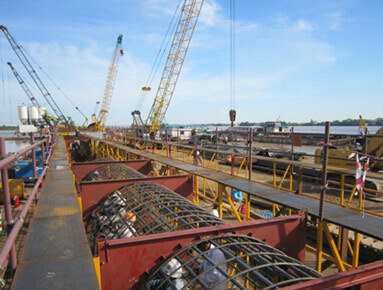 Reinforcement cages were fabricated on a land yard in segment of 12m long and the necessary make up length with coupler connections. 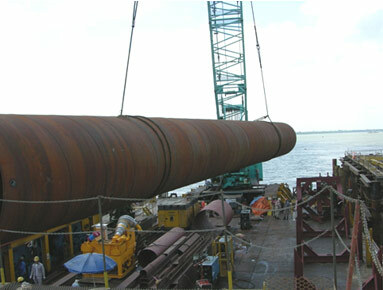 Concrete casting of 54nos of bored pile diameter between 2,000mm to 2,500mm with length between 62m to 70m from COL to toe level. 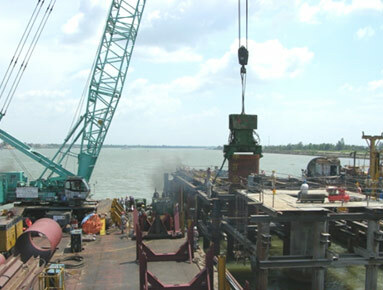 The infill concrete for each bore pile was placed continuously using tremie pipe method with volume ranging from 195m3 to 344m3.